Manchester’s venue for children and families, Z-arts is looking for an Education and Engagement Officer to take up a key role within the Creative Team. The role will include creating and co-ordinating educational programmes at pre-school, primary, secondary, FE and HE level. You will develop partnerships and projects with creative, cultural, community and educational organizations across Greater Manchester. Email and hard copy applications are accepted. Z-arts do not take any responsibility for applications lost in transit. 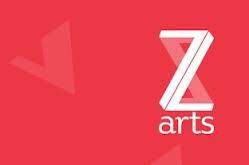 Z-arts aims to be an Equal Opportunities Employer and welcomes applications from all sectors of our society, reflecting the diverse world in which we all live. Ask at reception or download a full job description and application pack.